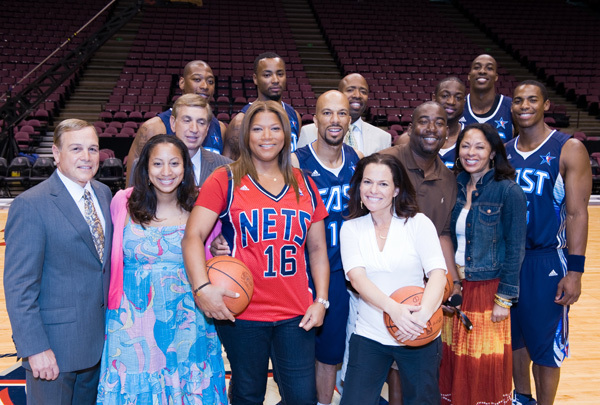 I’m making my motion picture debut in Just Wright, which opened in theaters today. The role wasn’t exactly a stretch – I play myself. But Marv and I had to collaborate with the script supervisors to make sure they got the broadcast lingo, well, just right. I’ve already read some positive reviews and heard good things from several friends as well. Can’t wait to see it myself. The folks over at Fox Searchlight made a wise decision to feature me prominently in the movie trailer instead of Kenny and Marv. I think Marv has been giving me the cold shoulder because the camera angles were better on me than on him.